Bruce Lichtcsien is a trial attorney who has tried cases to verdict in state and federal courts in Illinois and Michigan. Bruce concentrates his litigation practice in the areas of sophisticated insurance coverage disputes, complex business and commercial litigation and product liability defense. 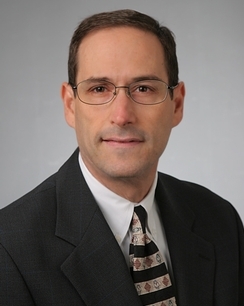 Bruce has been involved in insurance litigation since graduating from law school in 1990. He has substantial experience in litigating a variety of complex first- and third-party insurance coverage matters on behalf of domestic and international insurers. Much of Bruce's insurance coverage experience has involved defense of the London insurance market in environmental coverage litigation in jurisdictions throughout the United States. Bruce has litigated issues under CGL policies such as the pollution exclusion, the expected/intended injury exclusion, allocation, trigger of coverage and number of occurrences. His experience also extends to the analysis of coverage for advertising injury liability. Bruce has also counseled clients on insurance coverage matters in the construction context. These issues frequently include consideration of coverage for additional insured parties, tender of defense and "targeted" tenders. He also has experience in construction defect cases. For several years, he conducted judicial monitoring of a large public utility on behalf of the London insurance market. Summary judgment in Illinois state court for insurer who refused to provide independent counsel to insured who claimed that a conflict existed based on alleged arson. Summary judgment in first-party property matter in which the court enforced the anti-concurrent causation clause for damages related to in-ground swimming pool. Affirmed on appeal to the Second District Appellate Court. Summary judgment on contribution claim filed by adverse insurer based on late notice. Affirmed on appeal to the First District Appellate Court. Summary judgment for insurer in Illinois state court for copyright claim alleging that insured violated Microsoft software copyrights. Affirmed on appeal to the First District Appellate Court. Summary judgment in Illinois state court against a manufacturer of cultured marble which sought defense and indemnity coverage for underlying class action alleging personal injuries and property damage caused by pollution from manufacturer's plant. Another primary area of Bruce's practice is life, health, disability and ERISA coverage litigation. Bruce has litigated and provided advice on all manner of disputes occurring under group life and disability insurance policies in the ERISA and non-ERISA context. These issues typically relate to accidental death, fraud, misrepresentation, vanishing premiums, waiver of premiums, dependent coverage and agent misconduct. Summary judgment in Northern District of Illinois Bankruptcy Court on rescission of disability and life insurance policies where the insured misrepresented his history of prior disability claims and mental illness. Summary judgment in Northern District of Illinois on denial of accidental death claim for insured who allegedly suffered accidental overdose. Bruce has defended several toxic tort actions. On behalf of an Illinois public utility, Bruce obtained the dismissal of a putative class action alleging personal injuries at a public housing development caused by benzene and arsenic contamination. Some of Bruce's first chair trial experience has occurred in his commercial practice. He has tried business-to-business disputes which often allege breach of contract or business torts. Bruce also acted as regional counsel on behalf of a fax blast company which was the target of numerous consumer class actions filed under the Telephone Consumer Protection Act. Summary judgment in Illinois state court on behalf of a national armored car company whose employee stole money from a customer ATM. Bruce successfully argued that the customer failed to comply strictly with the contract's notice of loss provision which required written notice of the loss within 24 hours of detection, even though the armored car company had actual notice within the prescribed period of time. Dialing Up the Wrong Number: Illinois Appellate Court Signals End to Traditional Formula for Calculating Attorney’s fees in TCPA Class Actions, Law360.com, May 2016. "State Automobile Mutual Insurance Company v. Habitat Construction Company: Illinois Appellate Court Holds that Subcontractor's Insurer Wrongfully Rejected Tender of Defense For Suit Filed By Subcontractor's Employee, "The Policy, June 2008. Illinois Tort Reform: A Whole New Law Game. HWW Wins Summary Judgment to Avoid Coverage for Enforcement of Indemnity Agreement. HWW Attorneys Obtain Summary Judgment in Construction Defect Coverage Litigation. HWW Attorneys Secure Summary Judgment Upholding Absolute Pollution Exclusion.